Those seeking waterfront properties in the state of Florida may want to take a long, hard look at Heritage Oaks. 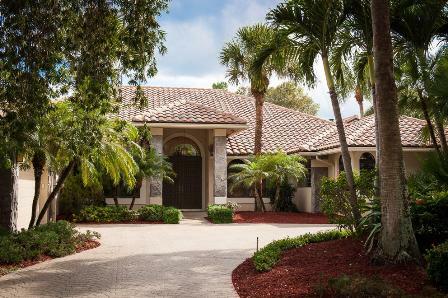 Located in Tequesta, FL, this gated community is right on the edge of the Loxahatchee River. With immediate water access and a secure neighborhood, it has great appeal and is very easy on the eyes. Gorgeous and gargantuan oak trees line the streets and add an extra touch of elegance. With more than 200 homes exclusively for single family residence, it’s a big neighborhood, too. As of April 21, 2019 there are 3 ACTIVE properties for sale in Heritage Oaks with an average listing price of $1,456,333. The highest-priced ACTIVE property listing is $1,995,000, while the lowest-priced property can be purchased for $875,000. Homes in Heritage Oaks have an average price of $384 per square foot, based on listings with an average of 4 bedrooms, 4 bathrooms, and 3,788 square feet of living space. Search Heritage Oaks homes for sale in Tequesta, Florida below. Below you will find the newest Heritage Oaks homes for sale in Tequesta, which is literally on the edge of the Loxahatchee River. It could take as little as a minute to exit one’s house and make the short walk down to the water, so for those who enjoy fishing, boating, waterskiing and other fun on the waves, this location is perfect. One of the key points about Heritage Oaks is that the neighborhood literally has aged oaks lining all the streets, just like other trees might be found along the sidewalks in bigger cities. Read more about Heritage Oaks real estate. With Martin County to the immediate east and Palm Beach County only a short distance west, Heritage Oaks is actually on a borderline between two distinct parts of Florida. This makes it easier to get to events held inside either county. With more than 200 unique, single family homes to choose from, as well as different style and architectural palettes, the perfect home for you and yours might just be in Heritage Oaks. Lots have been recorded as ranging from 1/3 acre to 1 full acre in area – not at all small. Search all single-family homes for sale and MLS® listings below! For more information please contact Dylan Snyder with the Snyder Group at (561) 951-9301. Looking to sell or buy a home in Heritage Oaks? Call Snyder Real Estate Group, your neighborhood Tequesta real estate team at at (561) 951-9301. We are Heritage Oaks real estate agents and experts on the Heritage Oaks Tequesta, FL housing market. The homes of Heritage Oaks come with 3 or 4 bedrooms, with total living space ranging from a cozy 2,000 sq ft to a massive 4,000 +. With the wide variance in lot sizes from property to property, there is also a wide degree of difference between the most and least expensive homes in Heritage Oaks. For more information about Heritage Oaks real estate in Tequesta, FL contact us today! The homes, the land, the weather and other factors all combine to make it seem like a place out of a story, but it is no fiction. For tennis enthusiasts, Heritage Oaks has something amazing. A nationally recognized tennis club is actually on site. It provides access to six championship level courts in a residential area, something which will make practicing in peace and quiet a real possibility. Considering the purchase or sale of real estate in Heritage Oaks? Let our team of Tequesta real estate specialists professionally assist in your hunt for the perfect home and skillfully negotiate the sale of your existing Tequesta house. As Heritage Oaks neighborhood real estate agents, we know the unique nature of the Heritage Oaks real estate market. Our real estate pros can get you on the fast-track to your next home today! Call Snyder Real Estate Group today to learn more about buyer or seller representation. Considering the sale of your Heritage Oaks home? Receive a free home assessment, where you can instantly calculate your property's estimated market value in seconds!